Ryan Reynolds has opened up about his ongoing mental health struggles - admitting that he's "always had anxiety". The 41-year-old previously revealed he had a "bit of a nervous breakdown" after filming Deadpool in 2015. To cope during interviews for the sequel, Deadpool 2, the actor now does most of the chats in character. "When the curtain opens, I turn on this knucklehead, and he kind of takes over," he said. 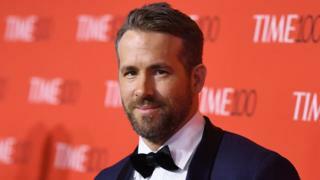 In an interview with the New York Times ahead of the release of the superhero movie later this month, Ryan revealed he's always had anxiety. "Both in the light-hearted 'I'm anxious about this' kind of thing, and I've been to the depths of the darker end of the spectrum, which is not fun," he said. The actor also said he partied a lot during his 20s to try "to make myself vanish in some way". He would often wake up in the night paralysed with anxiety, thinking about the future. He got through it by self-medicating but chose to ease up on the partying after he lost a few of his friends to overdoses, according to the New York Times. To deal with his anxiety during interview for his latest movie, the actor has now taken to channelling his Deadpool alter-ego as a "self-defence mechanism"
"I figure if you're going to jump off a cliff, you might as well fly," he added. Why the snobbery about superhero films? What films will you be watching in 2018?